Content Crafters is an interview series where we de-construct the tools, tips, and tactics that top bloggers use to get so much work done. you’ll walk away in mere minutes with actionable takeaways you can try out right away. Let’s dive in! 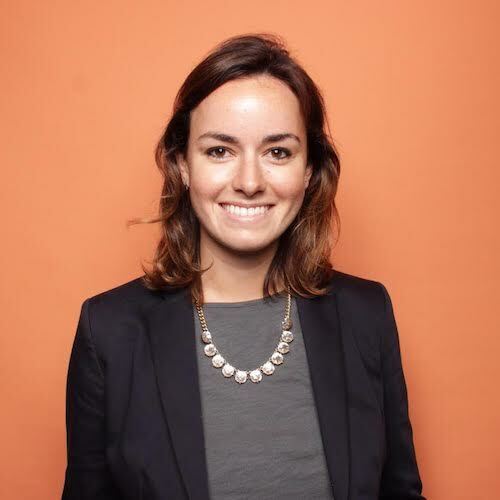 Sophia Bernazzani is a writer and editor at HubSpot, currently focused on running the HubSpot Service blog. In July 2017, she launched the HubSpot Service Blog, HubSpot’s newest blog that helps businesses help their customers succeed. She manages the editorial strategy of this newer blog by writing blog posts, editing contributions, managing the email subscription, and executing HubSpot’s new SEO strategy of using topic clusters in support of HubSpot’s new customer service product, Service Hub. Over the last year, she has built the Service Blog up from scratch. The blog has experienced 800% growth since August 2017, and 185% since January 2018. Additionally, she has started to onboard and manage interns in addition to a cadre of freelance contributors. When she’s not writing, editing, and managing the HubSpot Service blog, you can find her doing yoga outside, drinking iced coffee, or playing with animals. You can follow her on her personal website here, Twitter at @soph_bern or on LinkedIn here. What’s your origin story? How did you get into writing and content marketing professionally? When I was in school, I knew I loved writing creatively and academically, so I wanted to figure out how I could do it for a living. After some internships in grant writing and fundraising and NGO and nonprofit communications, I landed in tech, where I found I liked the fast pace of content marketing, where on any given day I was writing email copy, blog posts, or guest contributing to other outlets. I started at HubSpot two years ago writing for our Marketing Blog, and last year, I launched our Service Blog, which I now work on as the editor. We’re hiring another writer right now, so I still do most of the blogging, in addition to running the editorial and growth strategy for the property. What do you think about the supposed dichotomy between content quality and quantity? How do you personally maintain high quality standards at the impressive pace at which HubSpot operates? I look at content quantity versus quality as a balancing act instead of a dichotomy. In other words, you can’t have one without the other. It’s important to consider the medium you’re publishing on, too. If I were a novelist, I would for sure be 99% about making my books perfect and 1% about wanting to get them out the door quickly. But since I’m not a novelist (yet…I have some ideas for a story about vampires that hasn’t been told yet), and I’m a blogger, it’s a little different. At HubSpot, most of our blog sections publish between 2 and 5 times per day, so it’s really important for us to balance writing well with writing fast. But just because we’ve published a blog post doesn’t mean we’re done with it, either. Historical optimization of older blog posts as they start to rank in search is a huge part of HubSpot’s blog strategy, so we plan from the outset to go back to blog posts within a few months to make updates to the content to make it even more comprehensive and up-to-date for our audience. And because earning traffic from organic search is such a big part of why we do content marketing, at a certain point, you need to have a lot of content out there in order to start reaping the benefits from blogging, so it behooves of you to publish frequently. Ultimately, if it comes down to making a choice, I will usually vote for a shorter post that is accurate, helpful, and as comprehensive as possible, with plans to expand on it down the line once it starts ranking in search. What’s the most time consuming part of your job? The most time-consuming part of my job is editing other people’s work. It doesn’t matter who writes the blog post, but my job is to try to read it as a reader would once it’s published to make it as comprehensive and as helpful as possible. Editing isn’t just about me red-lining someone’s work and replacing it with how I’d write it myself — it’s about thinking carefully about the changes I want to make and making sure they make the piece better and still showcase the author’s unique voice and perspective. I want to always teach writers and guest contributors something when I provide feedback on a piece while still achieving my goals, too. What’s something challenging and difficult about content that would surprise somebody who doesn’t work in the field? I.e. what’s an underrated or not-often-talked about challenge to writing good content? People are always surprised when I tell them this, but I don’t think of myself primarily as a writer, but as a strategist. I don’t sit down to an empty Google Doc and write down the words that come to me. I want to figure out how to offer the best answer to the searcher’s question, and writing is the means to achieving that end. Sometimes the biggest challenge of content marketing isn’t writing about a topic how you want to write about it, but writing about it in the way that’s most helpful or educational for your targeted reader, because those two preferences aren’t always in agreement. Trying to free myself of feeling like it’s “my writing” and thinking it more so about the person who’s going to read it has helped me shake that feeling of writer’s block or perfectionism. What skills do you think are underrated or under-appreciated in a good content writer? Just because you’re a content writer doesn’t mean you’re not also a marketer, and I think that the best marketers are skilled on both the creative and analytical sides of campaigns. Knowing how to make pivot tables in Excel and how to create dashboards in Google Analytics are great, but before all of that, you need to learn how to wrap your head around whatever numbers you’re measuring to be able to identify and diagnose problems before they tank your entire month or quarter. You also need to be able to see when things are going well to dig into the data to see how you can replicate it. Getting comfortable with diving into reports to click around and see what you find, and being comfortable with not knowing answers but being willing to keep digging to find them, is a key part of being a growth-minded content marketer. 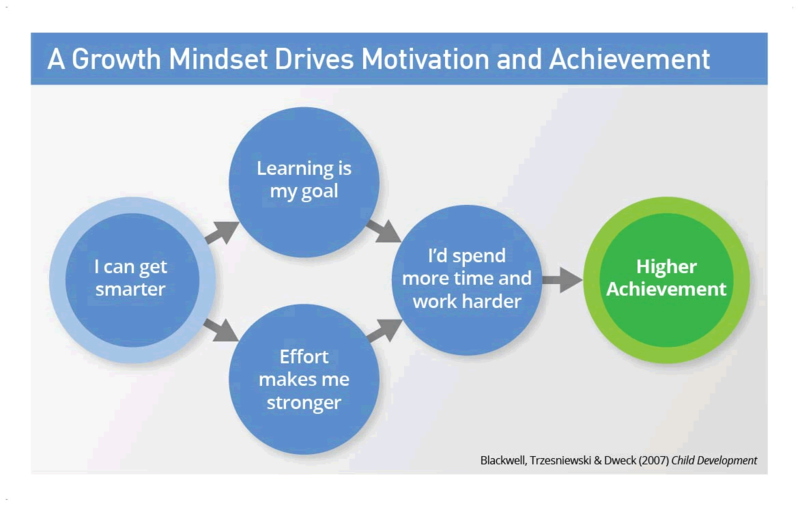 Maintaining a growth mindset here is key. Particularly if you’ve always thought of yourself as a creative or literary person, it’s easy to tell yourself that you’re not good with numbers or math, but give yourself a chance to learn and use your creative skills to identify stories within the numbers. What’s your content research process like? When you approach a topic you don’t know as well, how do you learn about it well enough to publish an in-depth article? My content research process varies depending on the topic. I’m lucky that my team has a close partnership with HubSpot’s SEO team, who start the process of keyword scoping and research and deliver us a list of long-tail and head keywords to tackle with searcher intent insights to get the ball rolling. Usually, when I’ve decided on a topic I’m going to tackle, I put out feelers with colleagues at HubSpot on Slack to get a quote or just more insight into the unknown topic to supplement my research. I do my own research like a normal searcher online to find the best answers to my question, usually clicking the top search results, news articles, and most authoritative resources I’m familiar with to build a foundation. I also review how comparable blogs in my space have written about this topic already to see how I can one-up their posts (sorry, but it’s true). Then, I lay out in a Google Doc the keywords and H2s I want to target in the blog post so I can start thinking through the flow of the blog post that makes the most sense. I start writing the body copy of the post to “fill in the blanks” of each section in my own words based on the research I’ve conducted. I write the conclusions and introductions last to ensure that they match to tone and content of the body of the post. By that time, a couple hours have gone by, and my colleagues have gotten back to me on Slack with a few helpful quotes and details that add more authority to my post. I read through the post, making sure to link to other HubSpot blog posts and resources where it makes sense. If it’s a topic that’s completely new to me, I pass my draft over to a colleague who’s a subject matter expert for their review and feedback. How do you think about differentiating content for a competitive topic? For example, if you’re planning to publish something like “sales tips,” how do you assure that the piece will stand out from the crowd and be successful? Like I mentioned in a previous answer, whenever I’m writing about a new topic, I take a glance at how other blogs in my space are writing about it already to get my competitive juices flowing. Sometimes, beating other outlets to ranking for a competitive keyword can be done by providing more examples than they do. Sometimes, you can beat other outlets by indicating in the title that your resource is more up-to-date than theirs. But I prefer to figure out how our blog can beat them with content that better answers the searcher’s question. I’m always trying to think about what the reader’s next question would be when I write a blog post, and a lot of times, that’s about answering the journalistic questions, like why, so what, how, etc. I try to use my network to get quotes and insights and ideas from subject matter experts if I’m not one myself. We create templates where appropriate. I work with colleagues who make incredibly engaging video content, which we embed in blog posts. The short answer this question is, HubSpot tries to rank for competitive keywords by doing more than what our competitors are doing and by getting to green keyword spaces and topic areas before they do in the first place. (Editor’s note: green keyword spacers are areas where there is low or no competition and where there seem to be emerging trends. Something like “content marketing” may have a ton of search volume, but it’s also got a ton of competition. Sophia is talking about new topic spaces here). What trend in content annoys you most and why? My biggest content marketing pet peeve is when people makes videos that are essentially just slideshows that are set to music featuring still images and captions. Everyone is excited to make videos, but it’s hard, and people specialize in video production for a reason. Hire them. On a personal level, it upsets me whenever a public figure passes away suddenly when I see several outlets all writing articles entitled “How did So-and-So Die?” and “What Is So-and-So’s Net Worth?” in an effort to capture pops in search traffic around these events. Is the traffic worth earning if it’s incredibly insensitive and triggering to people reading it? I think not. What future trend in content marketing inspires you and makes you excited to see it come to fruition? I’m fascinated by experiential marketing. It’s not exactly a trend of the future, but I’m excited to see it become more mainstream. 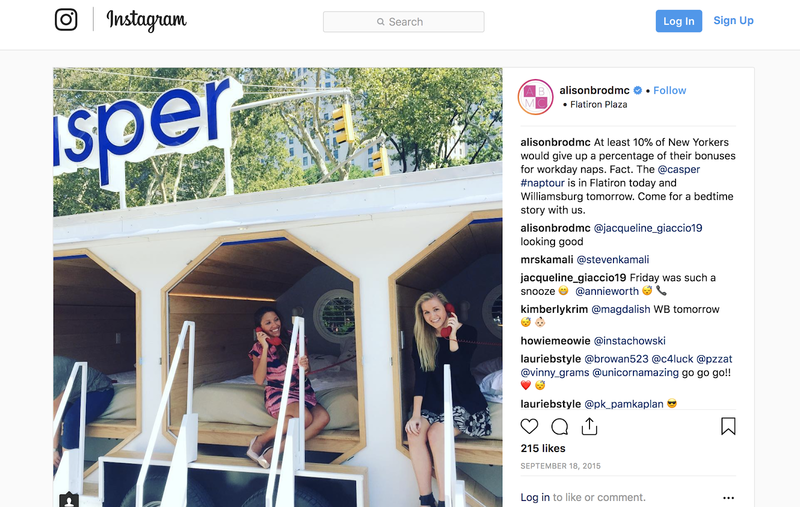 I love pop-up engagement experiences that brands do, especially when they’re a D2C (direct to consumer) or online-only brand, to connect with their customers and fans in-person. Casper and Glossier are brands that come to mind that are doing this really well with their in-person store or stall experiences. I don’t know if I’d ever sleep on a Casper mattress in the middle of a city, but I’d definitely post about it on Instagram. Any weird productivity tips for your personal productivity? How do you manage your own time and workflow? The best thing I’ve done for my productivity lately is freeing myself of the notion that I must become a morning person in order to be productive. I like hitting the snooze button and taking my mornings a little slower, which I used to feel so guilty about, but I end up getting more work done, and faster, if I’m a little more relaxed with my schedule in the mornings. I try to book minimal morning meetings so I can spend time working on blog posts so that once I’m warmed up in the late morning and early afternoon, I’m fully caffeinated and cranking so I can edit and attend meetings effectively. If you don’t want to wake up at 5am and run 10 miles, that doesn’t mean you can’t be a CEO or whatever amazing thing you want to become someday. 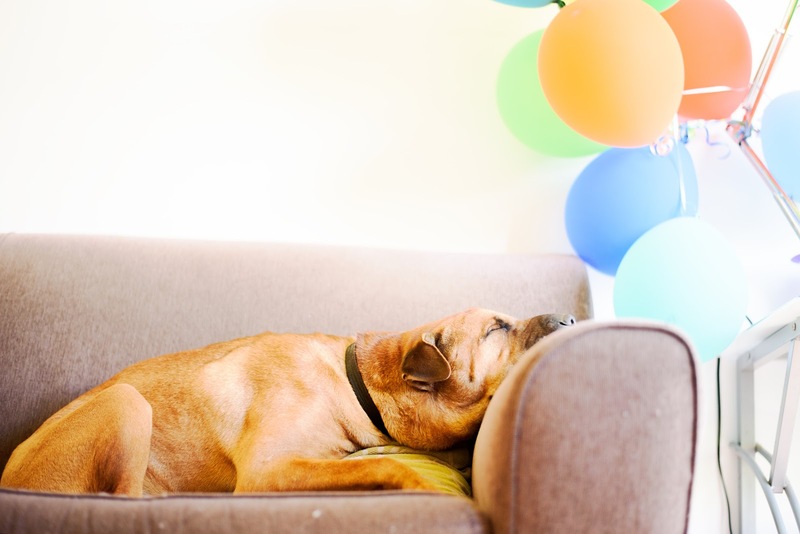 Get lots of sleep, keep a schedule that doesn’t make you miserable, and let your colleagues know what you’re doing and when you’ll be available so you can be most helpful to yourself and to others. I also started blocking off one day a week on my calendar that’s reserved just for me. I don’t take meetings, I work from home, and I get down to business with minimal distractions apart from my cat. I highly recommend it for anyone who has to do creative work but doesn’t feel like they have the time in their schedule to do it. If you know what you’re going to write about, voice to text functions on tools like Evernote is an effective way to get your ideas down on paper in a pinch. If you do a lot of typing, a laptop stand and a wireless keyboard make it easier and more comfortable. Read your finished work out loud to yourself, and cut every word that isn’t something you’d say in real life if you were explaining a concept to someone. Hi! It’s your editor again. This section is for those who want to dive deeper on individual points. I’ll expand here on some of the answers above and give you more details on any tools, processes, or resources that were mentioned in the interview. When it comes to content at scale, there aren’t many companies out there like HubSpot. Having multiple blogs all publish multiple times a day (while maintaining high quality) is impressive. How does that get done? Shipping fast and returning later to optimize. Aim high, but don’t let perfection stop your output. This is an underrated point: just because you’re a writer doesn’t mean you shouldn’t learn the basics of data analysis. Getting a basic grasp on using data to make better decisions can make a ton of difference in the trajectory of your blog growth. Search intent – basically, what is someone who searches this keywords actually looking for? And how do we answer that query with good content? One-upping competitors’ posts – this is a common tactic that is usually referred to as the Skyscraper technique. You look at what is popular and find out ways you can improve it with the hopes that you can build more links and outrank the popular content. Internal linking – when you write a post, it helps to link out to other relevant posts you’ve written to show Google that they are thematically related and important to crawl. If you want to brush up on SEO, it never hurts to revisit Moz’s beginner’s guide to SEO. I saved 3 hours uploading this article from Google Docs to WordPress using Wordable. Save hours of your time by instantly exporting Google Docs into WordPress posts or pages. Copyright © 2018 Wordable.io. All rights reserved. Try Wordable for free. Sign-up, Connect your WordPress site and Export a post in about 2 minutes. You'll get 3 exports to feel the magic.